Completing a quality Toronto historic renovation requires extra special attention to detail in order to appropriately preserve the building’s history, this includes the use of properly mixed lime mortars. Improperly conducted historic renovations will speed up the deterioration of a building and could do more harm than good. 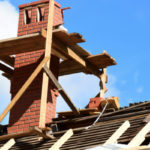 One of the most common repairs masonry structures require relates to the mortar, this is also an area where many mistakes are made. Mortar is so important because essentially it holds the entire structure together, protecting and supporting the main materials, such as brick or stone. Eventually all mortar begins to wear out and needs to be repaired in order to prevent damage from migrating to precious brick, stone, etc. 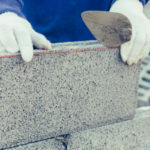 Repairing mortar is often done through a process known as repointing, which involves removing the damaged portions of mortar and replacing it with an appropriately formulated new mortar. In order to find the appropriate mortar for a historic building a number of things must be taken into consideration such as strength, flexibility, and shrinkage. If the mortar is properly matched, mixed and applied it will continue to do its job protecting the structure for many more years. Traditional lime mortar is made from chunks of limestone (calcium carbonate), which is burned in order to produce a new material known as quicklime. In order to turn quicklime into lime putty or hydrated lime, the quicklime is slaked with water. Traditional mortars are made using a basic combination of binder (lime), aggregate (sand), water and any other necessary additives. Until the later half of the 19th century, lime was the most popular binder used to produce mortar. As a result, most of the historic buildings in Toronto were originally built using a lime mortar. Once Portland cement hit the market the popularity of lime-based mortars all but disappeared. As a result of Portland cement buildings were going up faster and stronger for increased productivity. We tend to assume that the newest methods for doing things are better, and as a result many historic buildings have been (and continue to be) repointed with modern Portland cement mortar. Unfortunately, Portland cement should not be used to repoint historic buildings built with lime mortars. 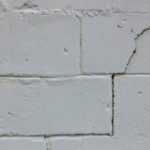 The main reason is that after Portland cement sits for a long time a chemical reaction causes the mortar to continually harden, eventually becoming harder than the surrounding masonry. As a result the actual structure will incur a world of trouble, as the brick or stone is suddenly under too much pressure. There are a number of issues regarding the use of Portland cement to replace damaged mortar joints on historic properties. For one, it is difficult to match the appearance of original mortar. Secondly, and even more concerning, it can weaken the building so that it degrades at a more rapid speed. 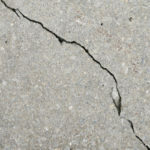 Since the chemical composition of Portland cement causes it to continually harden until it is harder than the surrounding materials it will eventually cause a complete breakdown of materials. People tend to think stronger is better, and even those that are in our industry often underestimate just how wrong this misconception can be. This is why it is so important to use lime-based mortars when restoring historic buildings. Historic buildings should always be repaired in a manner that resembles the materials and techniques used in original construction. This is the only way to preserve the true history of any building. Using lime mortar allows repairs to more closely resemble the original work, thus maintaining the building’s identity, story and personal history. Using lime mortar allows the building to age as it was intended, extending its overall life. Lastly, and perhaps most importantly, in the past we have already seen that by mixing new building techniques with old historic building techniques we create a lot of damage. These different approaches are not compatible and as a result tend to cause accelerated deterioration of historic structures. Knowledgeable specialists working in the conservation of historic properties are doing all that they can to spread the word on the harmful impacts of Portland cement on historic buildings. As a result, the last 20-years has seen a new appreciation for lime mortars again, but that doesn’t mean the problems are all but solved. Many masonry companies in Toronto are still using Portland cement to repoint historic masonry. Many different tests have been conducted proving that historic buildings restored with lime mortars do much better over time. Before hiring anyone to repair a historic building make sure they have a clear and in depth understanding of lime mortar properties. This ensures they have the know-how to match original mortar for the most authentic appearance and the longest lasting results. A skilled mason will be able to use a process called acid digestion to identify and match pre-existing mortar for your building. Turnbull Masonry understands the importance of lime mortars and properly restoring historic buildings. 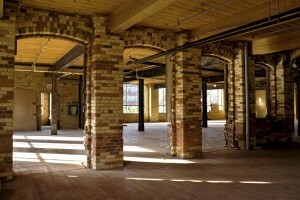 Contact us today for the highest quality historic renovations in Toronto.